Now, I’m not new to Magic, but I am new to Magic Arena. I’ve only been playing online for a few months, due to the fact that I once tried Magic Online and it felt like a more expansive version of Shandalar. As far as paper, I haven’t played competitively since the Urza’s Block, and I just play casually on occasion with some friends who only kinda kept me abreast of the new sets and mechanics as they have arisen. And to be fair, I haven’t watched a Magic Tournament through a screen since ESPN2’s broadcast of the 1997 World Championships. 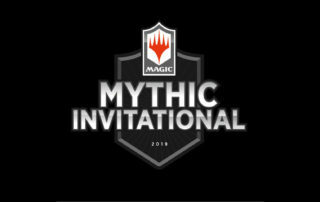 While I don’t have any direct interaction with esports and I’ve been out of competitive Magic for a while, I do know what I’m talking about when I say I don’t understand why people did not enjoy the Mythic Invitational; this had the correct format, venue, and participants for a true public spectacle. 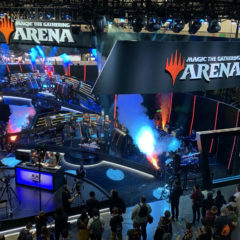 Magic is trying to raise the stakes, and they’re trying to use Arena not only for professional esports but to increase Magic’s online gaming presence. 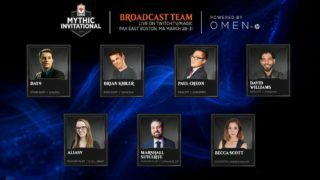 So, what are the criticisms to the spectacle that was the Mythic Invitational at PAX East? The format, the invitees, the rules, and the presentation/coverage. Duo Standard, where everyone brings two decks to play a best of three. The first game is a random draw for the two decks that you brought. The second game is the other deck you brought, and the third game is a choice of the two if it goes that far. I like this format. The random nature of the first matchup is very similar in nature to getting the draw that you need to curve out. The nature of having people bring two decks showed that they had to be more than one type of player. To complain that it wasn’t a best of three with sideboard appears to be elitist at best. I like the idea of watching players play more than one style. There just weren’t enough Pro Players. There were 31 Magic Pro League Players, 25 Competitive Streamers, and 8 Top MTG Arena Players. This was an Invitational, not just a Pro Tour stop. And just like there are various formats to play in Arena itself and anyone can do it, I believe that was one of the reasons they went duo standard instead of best of three with sideboard because anyone can do it. That’s not to downplay the streamers. For newbies of the game who may know a streamer that was invited or to see non-professionals do well, it helps to grow attention. Which was the entire point of the Mythic Invitational. But that wasn’t all. It was a double elimination tournament and for getting down to 16 from 64 all three games were untimed but had to take place within 45 minutes. During the rounds from 16 down to 4, all games were to take place within an hour. And that lead to the discussion of some tiebreakers, which could have been life-total. Arguably, that is not the best way to determine an event, and it didn’t really impact the tournament as a whole, but people like to complain about the possibility. Back to the format of Duo Standard – it’s new, and this was a large stage to debut it on, but the lack of support for this format seems odd because Magic is always evolving as a game. New sets and mechanics come and go all the time. Change is constant. I can’t comment on past presentations, but there were a few hiccups, though I don’t hold them against the coverage team or the production team. Overall, they didn’t have any major issues. This was a live event at a live convention. Sure, there was some atmospheric bleed-through audio, but if that’s the worst, and it was only a slight nuisance, then you have a success. The commentary team of Day9, Brian Kibler, Paul Cheon, David Williams, AliasV, Marshall Sutcliffe, and Becca Scott all did very well. In fact, as this was my first viewing of an event on screen since 1997, it was great to hear Magic getting the same kind of commentary that I hear from other major sports coverage. Personally, I thought it was a great spectacle and the only thing I would have wanted to see was more deck variants, but the meta is what the meta is. The skill of play and patience displayed from the final four competitors of this tournament were a testament to the level of play required to advance that far. 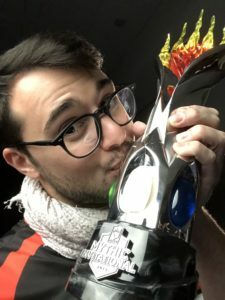 And while Andrea Mengucci walked away with the well-deserved prize, it’s Magic: The Gathering that should be excited about the future of Arena and it’s Magic as an eSport. The event was a spectacle and it was thrilling. Thrilling enough that I chose to watch the Mythic Invitational over the actual March Madness Sweet Sixteen and Elite Eight games that overlapped. Yeah, it could be that I’m that kind of geek, but it was also probably because the Mythic Invitational was just that compelling.